canihaveabite is an organic carry-out in the Brookside area that offers meal prep, ready-made meals, detox's, kombucha shots, broths, and more! canihaveabite™ is rooted in the belief that food is our best medicine and that it is possible to transform your health simply by eating foods that nourish the body. They believe that "understanding the source of your food – how it was grown/raised, how it was processed, how it was prepared – is the key to good health." "We believe in real food and eat the spectrum of choices. And, when it comes to food, we never see limitations; we see new ways of creating. 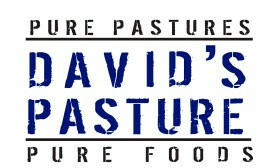 We prepare dishes with local grass fed meats and pasture raised chickens. We use goat cheese, sheep’s milk cheese and raw milk cheese. We use pasture raised eggs and real butter. We talk to the farmers. We can tell you the story behind every dish, from the raw ingredients to the final deliciously distinctive product. We joyfully taste and test every dish that is prepared. We love what we do, and it shows."